Are we doing our bit for refugees? : We did it! Since June 2013 we have led the campaign to double New Zealand's refugee quota to 1500 places. With the election of Jacinda Ardern's new government we've now got a government committed to making this first increase since 1987 a reality. In late September, after five years of campaigning, the Labour-led government, with support from the Greens and NZ First, committed to implementing the aims of the campaign. 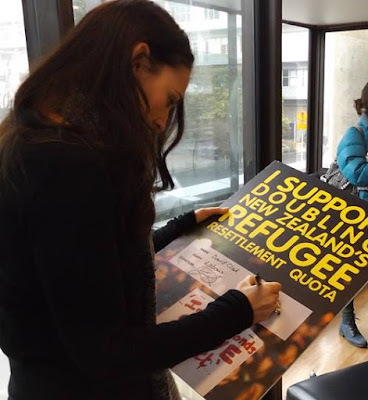 In the coming eighteen months the groundwork will be laid for the refugee quota to grow to 1500 by July 2020.